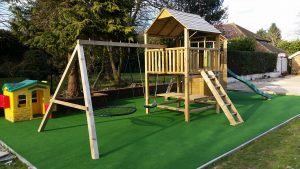 Our customer had plenty of space available but wanted a play area at the bottom of the garden. A corner to keep all of their kids toys and play equipment together in their own little zone. They fell in love with the idea of a double tower with angled walkway and the amount of fun on offer to keep the children entertained. But, what they really wanted, was something unique for them. We asked for a few photos of the area and we discovered a lovely flat, green garden. 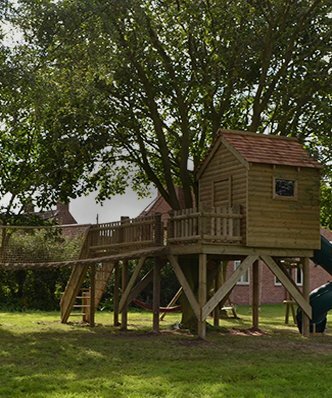 Knowing that they wanted a double tower, we knew a slightly angled walkway between the two towers would be a good way of bringing the play space into one area and tucking it around the firs. Spot on! The first tower is a treasure trove for special moments. The picnic bench is a great resource for impromptu tea parties between friends and family. Or for sitting down for a discussion on what to play with next. The access ladder with grab handles meant that even the littlest can join races as they use the two steering wheels mounted further up on the balustrade. A fireman’s pole provides a quick exit to the ground where they can clamber into a basket swing big enough for two. 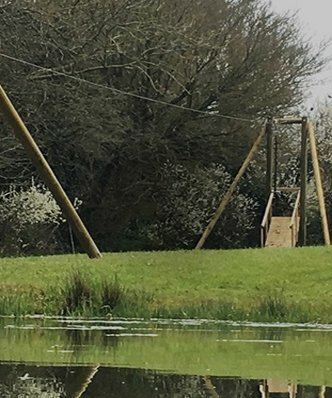 Or, for those that want to swing in peace, there is also a single bendy swing. The angled walkway lets you turn the corner into the second tower. 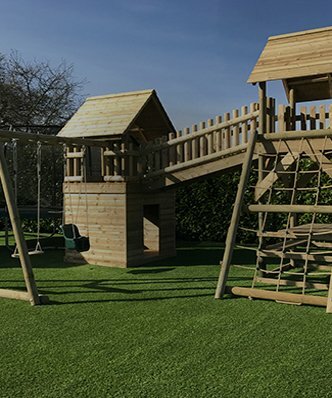 It has an easy exit with a wavy slide, which brings an extra thrill to the climbing frame. The descent leads to another corner of discovery as you enter a portal into your very own secret den. It has a small window to spy on those who dare to approach you dominion. 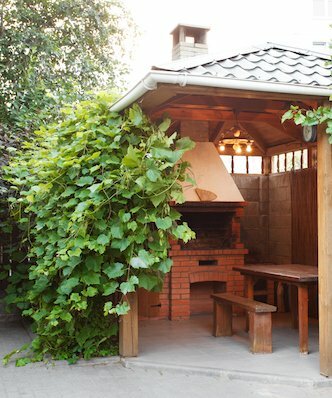 This cosy space is great for keeping toys, like doll houses, or even for hosting the best outdoor sleepover or midnight feast. 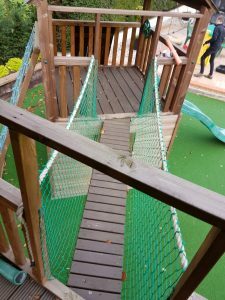 With both a cargo net and climbing wall to access the tower, it’s either a wibbly-wobbly climb to the top or navigating the best path across the climbing wall stones. Whatever way you tackle this build, it is bound to use up the energy of even the most active kids. It’s the great outdoors.